Lauren's Book Club: Contest Winner (is it you? ), plus this week's free, 99-cent, and new book recommendations! FREE READ for all of my Book Club members! And do you celebrate Passover? FREE READ for my Book Club members ONLY! 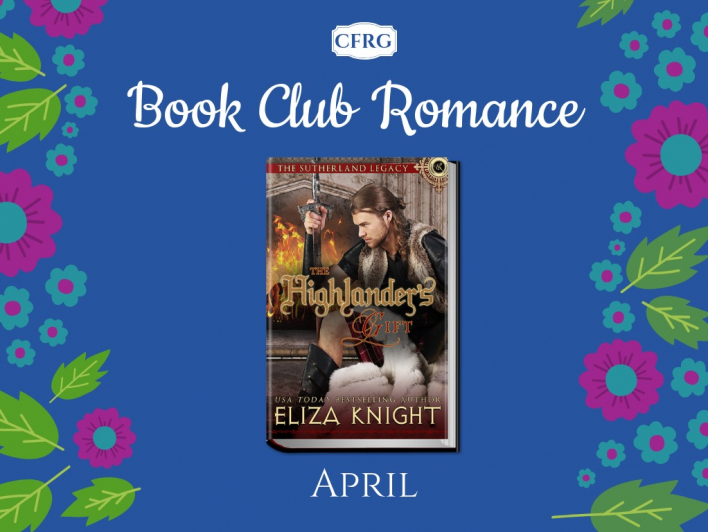 In my Chase Family Readers Group on Facebook, our Book Club romance for the month of April is THE HIGHLANDER’S GIFT by Eliza Knight. If you haven’t read THE HIGHLANDER’S GIFT yet, hit the button below to join my group and grab a FREE copy! LAST CHANCE: Passover starts next week! Do you celebrate—or want to give it a try? 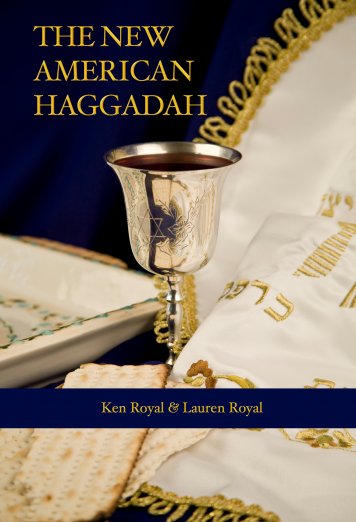 If so, there's not much more time to check out the Haggadah my brother and I wrote! It’s an easy-to-follow Seder that gets the whole family involved. We've been using this Haggadah for over twenty years, and it's great for Passover veterans and newbies alike. Plus, the ebook edition is FREE for Apple Books, Kindle, Nook, Kobo, and Google Play! Or grab it in print for just $6.99 on Amazon or Barnes & Noble! 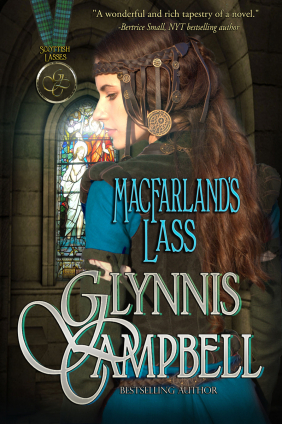 First up this week, a free Scottish historical romance, MACFARLAND'S LASS by my Jewel sister Glynnis Campbell, Book 1 of her Scottish Lasses series. A young jeweler to Mary Queen of Scots becomes a fugitive and takes refuge in an abandoned church—where she finds herself at the mercy of a woodland huntsman. When forces conspire to turn Florie and Rane against each other, they'll need courage, wits, and, most of all, love to survive... Steamy. Regularly $4.99. 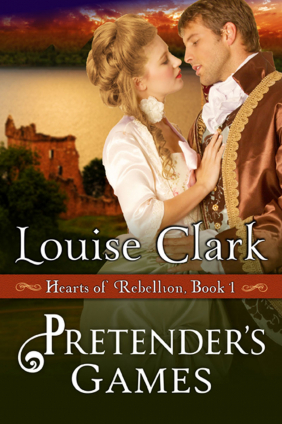 Our first 99¢ book this week is another Scottish historical romance, PRETENDER'S GAMES by Louise Clark, Book 1 of her Hearts of Rebellion series. A rebel in exile, James has the chance to return to his beloved Highlands, but his pardon comes at a cost: he must marry an Englishwoman. When headstrong Thea begins to fall for her new husband, she cannot forget that he's a rebel and an enemy of her country. Will love or loyalty prevail? Steamy. Regularly $6.99. 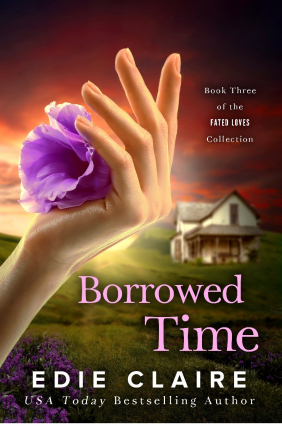 Next, a 99¢ book for fans of contemporary romance: BORROWED TIME by Edie Claire. When an enigmatic illness forces the normally self-sufficient Sarah to depend on someone—namely her charming do-gooder of a neighbor, Adam, whom she has been trying desperately to avoid—her carefully built defenses begin to crumble. Clean. Regularly $4.99. 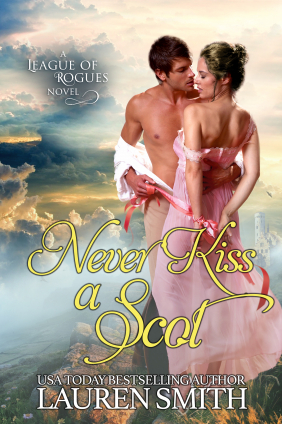 And finally, our Fab New Romance of the week is a Scottish Regency romance, NEVER KISS A SCOT by Lauren Smith, the latest in her League of Rogues series. A proper English lady facing spinsterhood shares a midnight kiss with a brooding Scottish lord—and makes the rash decision to run off to Gretna Green with him against her family’s wishes. Steamy. Priced at $3.99. 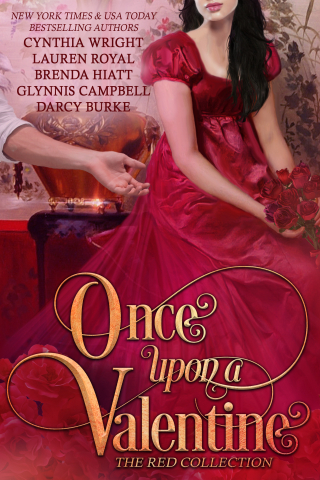 ONCE UPON A VALENTINE: THE RED COLLECTION ~ 5 novels for just $4.99! Also available: six more novels from six more Jewel sisters! 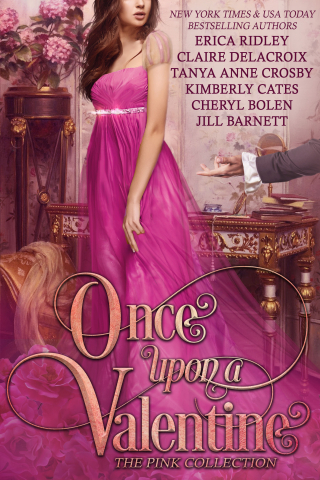 ONCE UPON A VALENTINE: THE PINK COLLECTION ~ 6 novels for just $4.99! Two Free Sweet & Clean Books from Devon & Me! 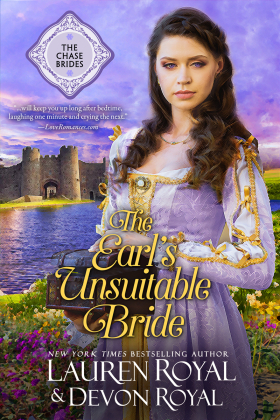 THE EARL'S UNSUITABLE BRIDE is regularly $4.99, but this week it's free! 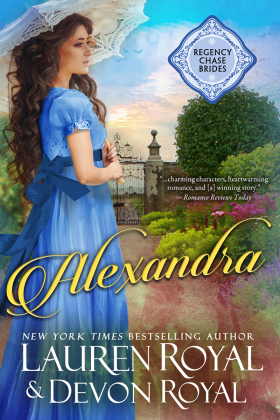 The first novel in a “beguiling Regency trilogy” (Booklist), ALEXANDRA is regularly $4.99, but this week it's free! 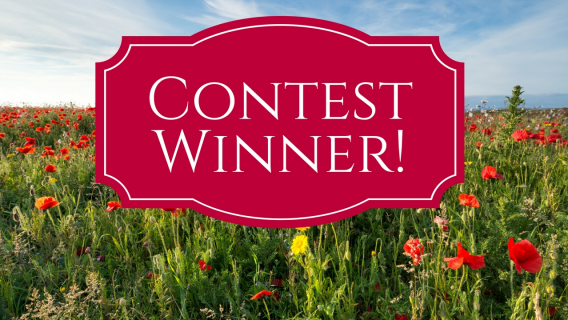 My March contest winner is (drumroll, please!) 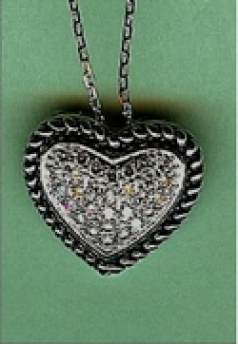 ... Ruby Sisung, who won Mary’s sterling silver locket! Congratulations, Ruby—please reply to this email within 14 days to claim your prize. My April contest prize is this this sterling silver replica of the pendant James gave Juliana in my book JULIANA, which I wrote with my daughter, Devon. To enter to win, click the purple button below! If you want a chance to win, be sure to enter before the end of the month. The computer will pick a random winner from all the correct answers, and the winner will be announced in this newsletter in May—so be sure to check next month to see if you won. :-) Good luck! 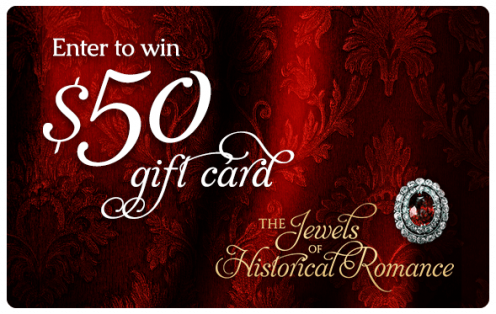 Win a $50 gift card for your favorite ebook store in April's Jewels of Historical Romance contest. 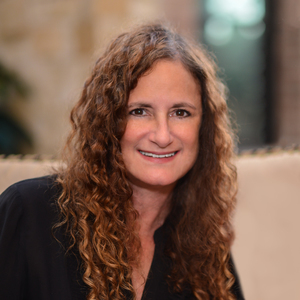 In this month's contest, my Jewel sister Jill Barnett tells readers how she sold her first book. to get my free and 99¢ books on select Fridays! Frequent emails driving you bonkers?